Research shows that on a summer day, the temperature inside a car parked in the sun can be between 30 degrees and 40 degrees hotter than outside the car. On a 30-degree day, this means your car will get to at least 60 degrees; on a 40-degree day it could reach 80! While that’s all bad news, the good news is that an Adelaide carport to reduce heat is a great idea. Let’s face it, it can be pretty hot hear in Adelaide in the summer. Average highs are close to 30 degree C across the summer months and that’s on average. We get a lot of days in the 30s and we’ve even had one over 45! 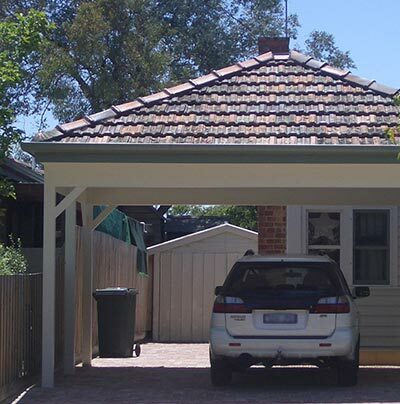 While we can’t always avoid parking the car in the sun, you can at least do something to beat the heat at home, by building an Adelaide carport. A well-designed carport will make a significant difference to you and your family’s comfort. Not only will a carport reduce the heat inside your car in summer, it will be a blessing when the rain is pouring down and on those frosty mornings in winter. In short, a carport will be an investment you’ll enjoy all-year-round. Plus, it will add substantial value to your home if and when you do decide to sell. Outside Concepts are experts when it comes to building carports. We’ve built hundreds of them and know how to build the best carport for your home, budget and needs. So if you need help to beat the heat in your car this summer, give us a call today!